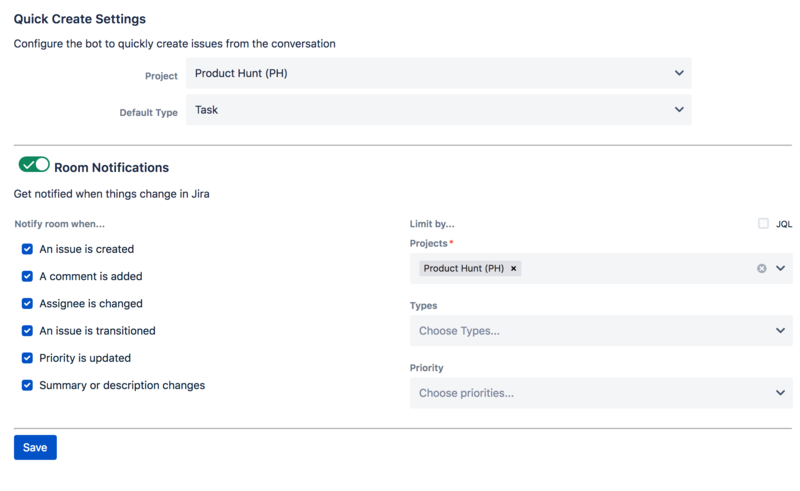 Follow these simple steps to set or update your channel configuration for Jira Plus. When you add the bot to a new channel the welcome message provides a button to access the configuration screen. Use the screen the same way as described in initial configuration above to make updates to the room configuration.